This article contributes to the field of natural resource conflict management by investigating the holisticcontext of a conflict case and argues against a simple resource scarcity-conflict thesis. The article takespoint of departure in a pragmatic world view of conflicts in Laikipia County, Kenya through a likert-typequestionnaire survey (N ¼ 352), semi-structured interviews, extensive field notes and participantobservation. 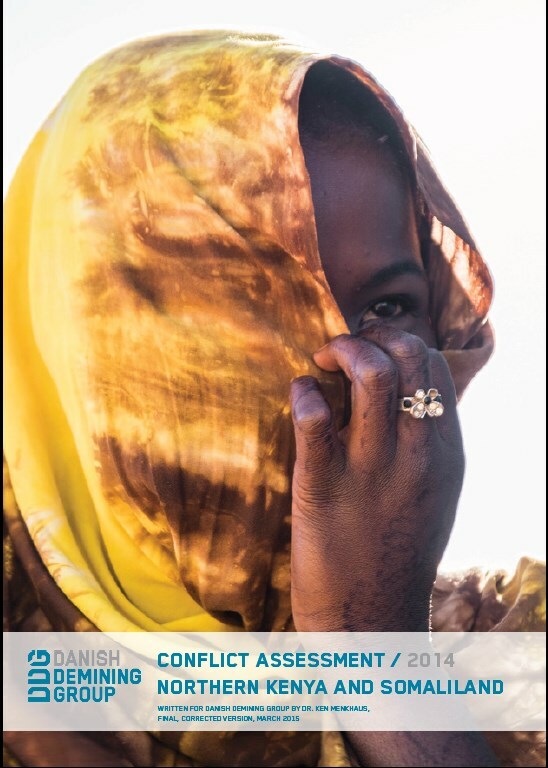 Using an adapted version of the Unifying Negotiation Framework (UNF) to conduct an indepthcontext analysis, the article shows the multitude of ecological, social and institutional factorswhich impact on the conflict complex. The critical features of the conflict from the perspective of pastoralistsand farmers in Laikipia were found to be related to trust, communication, security, governance,marginalisation and violence. By conducting a thorough conflict context analysis incorporating social,ecological and institutional elements, valuable insights can be gleaned, leading to a more holistic conflictmanagement approach. 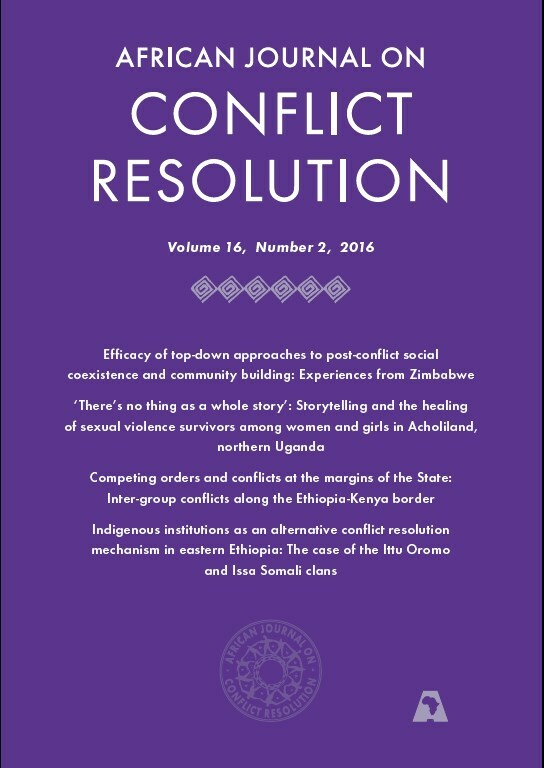 The change from consensual decision-making arrangements into centralized hierarchical chieftaincyschemes through colonization disrupted many rural conflict resolution mechanisms in Africa. In addition, climatechange impacts on land use have introduced additional socio-ecological factors that complicate rural conflictdynamics. Despite the current urgent need for conflict-sensitive adaptation, resolution efficiency of these fusedrural institutions has hardly been documented. In this context, we analyse the Loitoktok network for implementedresource conflict resolution structures and identify potential actors to guide conflict-sensitive adaptation. This isbased on social network data and processes that are collected using the saturation sampling technique to analysemechanisms of brokerage. We find that there are three different forms of fused conflict resolution arrangementsthat integrate traditional institutions and private investors in the community. To effectively implement conflictsensitiveadaptation, we recommend the extension officers, the council of elders, local chiefs and private investorsas potential conduits of knowledge in rural areas. In conclusion, efficiency of these fused conflict resolutioninstitutions is aided by the presence of holistic resource management policies and diversification in conflictresolution actors and networks. 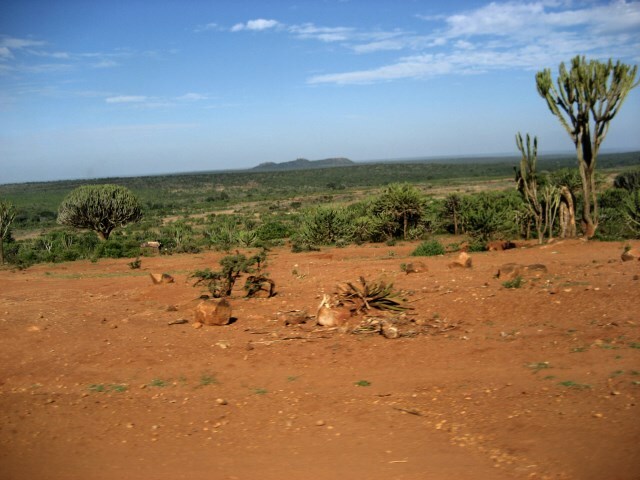 Land is a popular asset among a diverse array of citizens and organizations in Kenya. It is a key driver of socio-economic development in the society and the country at large. This is in view of the fact that land has a great potential for economic growth of a country. Individuals, communities and organizations have over the years embarked on investing in land. Currently there are increased trends on the levels of investments and or grabbing of lands for the same purposes. In Kenya, the land sector has been a key driver of the social economic development and as such heavily invested in. This practice on one hand, has allowed genuine investment. On the other hand, this practice has witnessed a high rate of land grabbing by individuals and even organizations. As a result, conflicts have been increasingly acknowledged, a critical factor to the attainment of secure land tenure rights, development, peace-keeping and peacebuilding. In addition, cases resulting from these conflicts have been dragging in courts for years. People are now tired of going to courts to seek redress and justice. This paper seeks to discuss the use of ADR as a viable tool in land conflicts resolutions in Kenya. The paper points out outstanding challenges and opportunities brought about through the application of ADR mechanisms. This paper also provides practical approaches to application of ADR in conflict resolutions. The way forward and conclusions sections draws attention to further research besides offering helpful insights with an aim to aid in resolving land conflicts and even other conflicts outside the land sector. The application of ADR in delivering justice remains researched on and forms a key element in both information seeking and knowledge sharing. The coming into force of the Constitution of Kenya in 2010 has widely been seen as a cornerstonefor the development of a national ethos that unites us as a country and a precursor to peaceful coexistence.The letter and spirit of the constitution have thus to be operationalised through a plethoraof connected actions such as reforms in government arms and organs, legislative effectiveness andefficiency, respect for the rule of just law and civic engagement. In some regions communal conflicts lead to only a few deaths or are solved before they have caused any fatalities. In others, however, these conflicts become very violent and dozens, hundreds, or even thousands of people are killed. The Ituri region of the Democratic Republic of Congo (DRC) is a well-known example of the latter, and communal conflicts have killed thousands in this region. In other parts of the DRC, however, such conflicts occur with a much lower level of violence despite the fact that they share several structural characteristics with the Ituri region (ICG 2003). Similar subnational variations also distinguish communal conflicts in Nigeria, Ethiopia, Somalia, Sudan, Kenya, and Uganda, the six countries most afflicted by this type of conflicts since 1989 (Sundberg, Eck, and Kreutz 2012; Sundberg and Melander 2013). This study sets out to examine this variation. 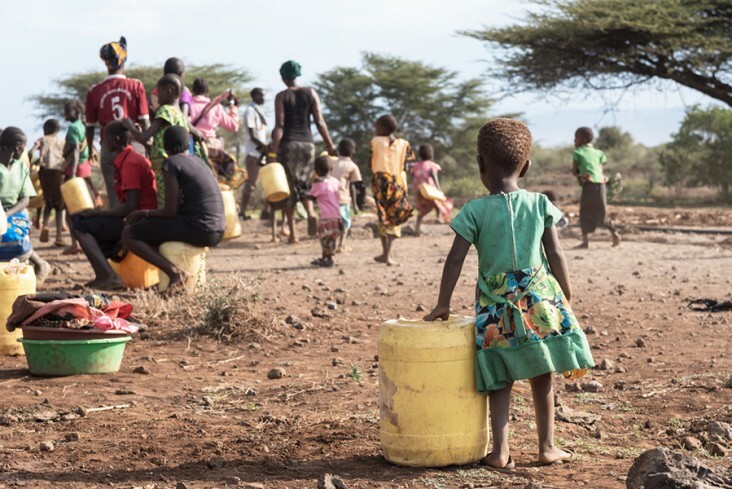 The severe and prolonged drought that affected much of East Africa in 2009 had a devastating impact upon Kenya. Vast areas became parched and barren, wildlifenumbers decreased and thousands of livestock died of thirst and starvation. Thiscoincided with reports of rising armament among communities in the arid lands ofnorthern Kenya and increasing outbreaks of violent inter-community conflict. Thereseemed a clear correlation between the scarcity of natural resources resulting from thedrought, and violent conflict. 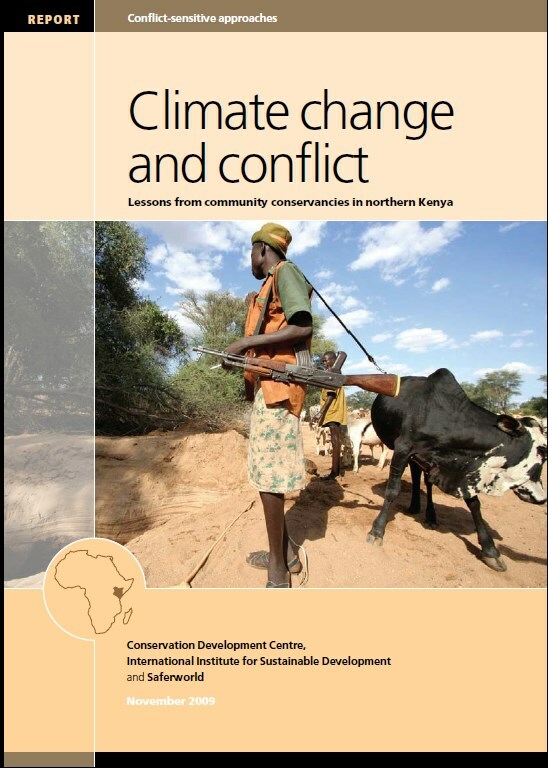 In the context of growing awareness and concern aboutglobal warming, this inevitably prompts the question as to whether Kenya’s prolongeddrought was a consequence of climate change – and to what extent therefore climatechange will lead to an increase in violent resource-based conflict. 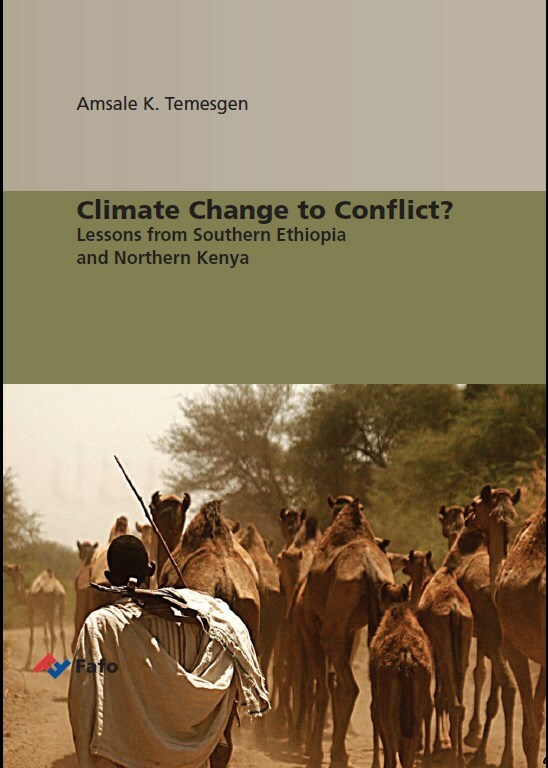 This report represents an attempt to understand the interplay between environmental/climatic factors and conflict dynamics in the Horn of Africa. It shows that climatic change and local political dynamics may intensify the competition for scarce water and pasture and the degradation of natural resources, and, in the worst cases, cause violent conflict. Since Kenyan forces intervened militarily in Somalia in October 2011, a toxic combination of push andpull factors has led to the emergence of a home-grown, Kenyan Al-Shabaab insurgency that is feeding onhistorical religious and regional divides in the country. 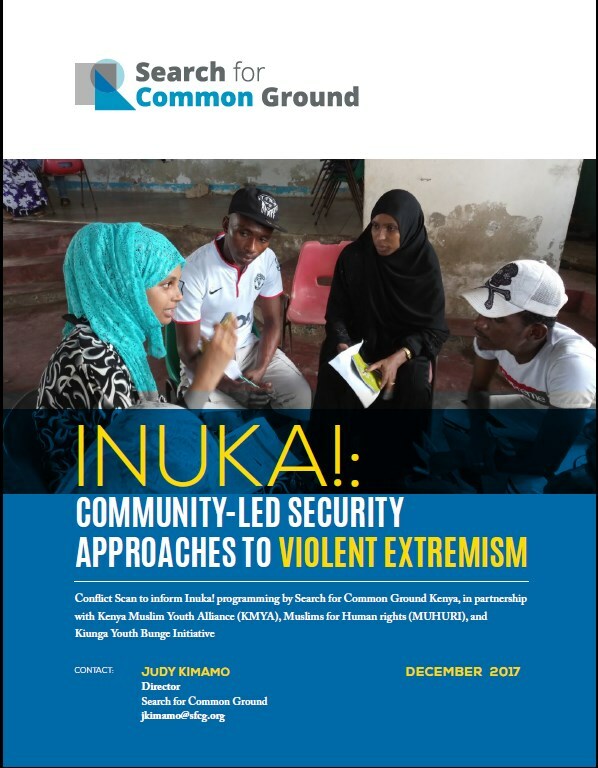 Violent attacks have occurred across Kenya, but withgreater frequency in the primarily-Muslim coastal region, a part of Kenya that has experienced long-standingpolitical exclusion and economic marginalization as well as active separatist movements. These attacks havedevastated the local economy by causing the collapse of the tourism industry in the coastal counties, leaving alarge population of idle and unemployed youth with little hope for a positive future. The legal framework in Kenya on community, customary and traditional justice systems, provides for these mechanisms as if they are similar. The terms ‘traditional,’ ‘customary’ and ‘community’ have also been used interchangeably as if they are synonymous. However, these terms have nuanced meanings, are value-laden and the normative content of the respective justice systems they describe are different to some extent. This paper discusses how the law uses the terms ‘traditional,’ ‘community’ and ‘customary’ in describing the different justice systems. It also highlights the conceptual parameters, juridical content, scope, conflicts and overlaps in the use of the mechanisms in the legal framework. Further, the paper explores the appropriate terminology in describing informal justice system. This paper provides an assessment of the work done by the Organ onNational Healing, Reconciliation and Integration (ONHRI) in post-2008 Zimbabwe. ONHRI was employed by the Zimbabwean government(precisely as Government of National Unity) to ensure national healingand integration. The efficacy of top-down approaches to social cohesionin post-conf lict contexts is questioned. The paper outlines how politicalexpediency, mistrust and polarisation debilitated the work of ONHRI.There was little consultation done in creating ONHRI, especially withcommunities affected by political violence. Academics, civil society,smaller political parties and private entities were left out of the process ofcreating social cohesion mechanisms. For the Zimbabwe African NationalUnion – Patriotic Front (ZANU-PF), the Organ was a concession on theirpart to the demands of the MDC and this led to problems in implementingits mandate. 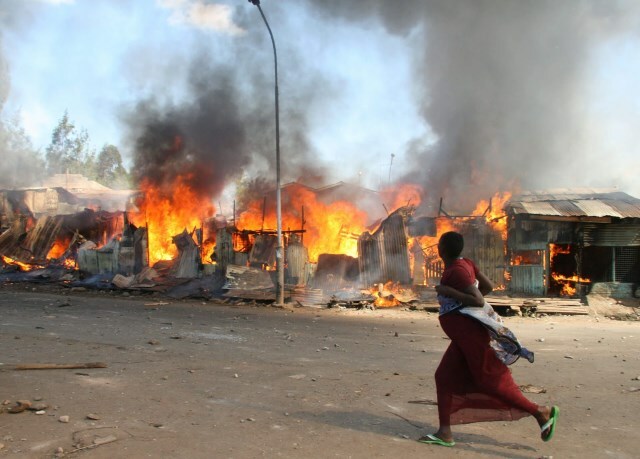 Both eastern Somaliland and northern Kenya are experiencing spikes in political and social tensions, armedconflict, and communal clashes, and, in the case of northern Kenya, violent extremism. Available evidence suggests that the trend toward greater levels of armed conflict is likely to intensify with thearrival of a combination of transformational changes in the regional political economy, including new countybudget lines in northern Kenya and possible oil windfall revenues in both northern Kenya and Somaliland. These changes are injecting or may inject substantial levels of new revenue into the national and regionaleconomies, dramatically increasing the stakes over who controls local and national governments. This anticipated influx of new revenue into state coffers is occurring in a context of poor economic governance,contested communal claims over rights to resources and revenues, and, in the case of northern Kenya, anew devolved political system with no established “rules of the game”. This is a dangerous combination andincreases the odds that both regions could suffer destabilising levels of armed conflict. 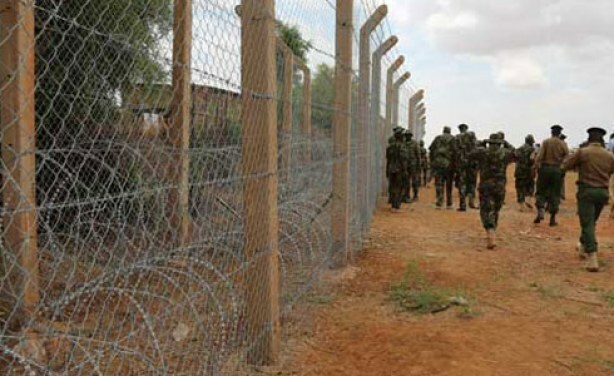 In response to Kenyan citizens’ growing uneasiness with regard to the cross-border violence fromSomalia-based terrorists, the government of Kenya has begun to erect a barrier along its shared borderwith Somalia. This thesis looks at the interconnectedness of the Kenya–Somalia borderlands that are hometo the Somali ethnic group and the potential impact of the border barrier on this population.The thesis examines the link between the historical bordering process carried out by the colonial andpost-colonial powers, which contributes to the complexity of border security. Geopolitical analysisexamines this process and the emergence of identity politics within the Somali ethnic group, as well ashow this ethnic identity has been exploited by terrorists and contributed to conflicts. Additionally,securitization theory explains not only the government’s decision to harden the border, but also thepopulation’s acceptance of an existential threat that legitimizes it.The research concludes that the barrier on the Kenya–Somalia border will impact the Somali ethnicgroup in the borderlands. To minimize this impact, the research recommends the border fence as atemporary solution to enhance security in Kenya and suggests ways for the government to leverage thesupport of the borderlands population to effectively ensure this solution. In the wake of widespread interethnic “clashes” and al-Shabaabterrorist attacks in Kenya over the last few years, the state has embarked onthe devolution of capacities for ensuring security and peace to the locallevel. 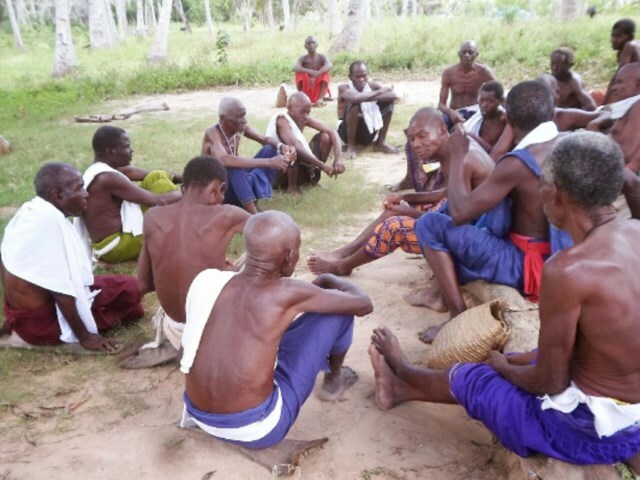 The state gave the rights to handle specific local conflicts and crimeprevention to local peace committees in an attempt to standardise an aspectof customary law, and to Nyumba Kumi committees in a strategy ofanchoring community policing at the household level. These changes wereconditioned and framed by ideas of decentralisation and the delegation ofresponsibilities from the state to the community level. In this paper, thefollowing questions are raised: Are hybrid governance arrangements effectiveand appropriate? 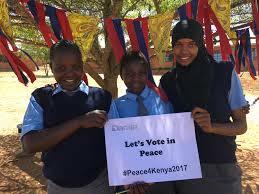 To what extent do peace committees and NyumbaKumi provide institutional support for peaceful conflict management andcrime prevention in Kenya? What guarantees and what constrains theirsuccess? The author draws on ethnographic data from the Maasai–Kikuyuborderlands near Lake Naivasha, a former hotspot of interethnic clashes. This study connects the topic of natural resource conflicts with political elements, especiallyelections and looks into clashes between a pastoralist (Orma) and an agricultural (Pokomo)community in Kenya. 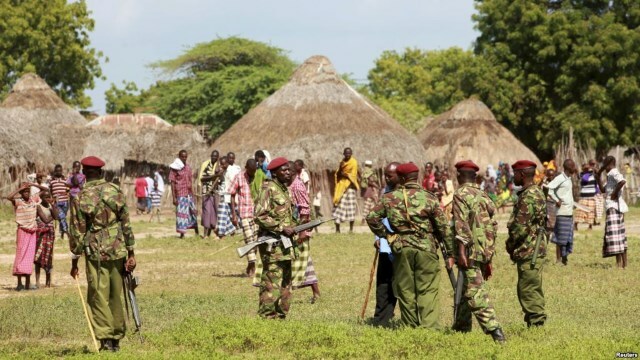 It analyses the clashes in the Tana delta which escalated in August 2012from a political angle. The main aim of this study was to see how elections and conflictsinfluence each other but also which role other (political) aspects played in the case of the Tanadelta. 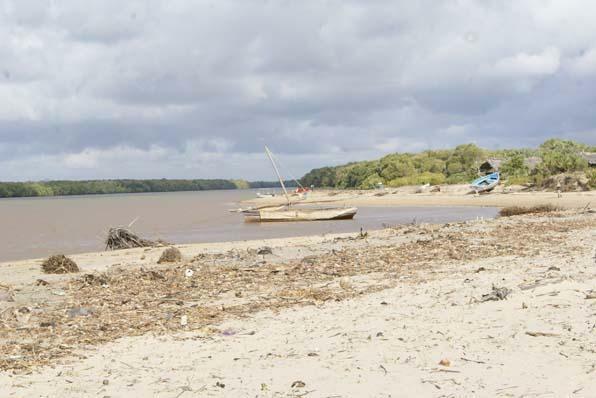 The Tana delta is a wetland area at the Kenyan Coast which is mainly inhabited bypastoralist Orma and agricultural Pokomo communities. Also, it is a fall back area forpastoralists from as far as Ethiopia, who migrate to the delta in times of drought in search forwater and pasture. Conflict for resources has characterized human lifestyle throughout history. In Kenya, sociopoliticaland economic rights bequeathed and protected by the constitution have not been fullyactualized and the public still face significant challenges in regard to their security andlivelihoods. These challenges are often felt most severely in situations of instability, conflictand fragility. One of the most important aspects of conflicts and need for peace building in theASALs is to understand the complexities and the fact that the conflicts cannot be solvedovernight. In the recent past, high profile cases involving land governance problems have been thrust into the public domain. These include the case involving the grabbing of a playground belonging to Lang’ata Road Primary School in Nairobi and the tussle over a 134 acre piece of land in Karen. Land ownership and use have been a great source of conflict among communities and even families in Kenya, a situation exacerbated by corruption. The lands sector has consistently ranked as one of the most bribery prone sectors in Kenya coming in at number two in the East African Bribery Index 2014 with a score of 55 on an aggregate index of 0 to 100, with a score of 100 being the worst score. What factors propel corruption in land administration and what strategies can be put in place to promote accountability and transparency in land governance? 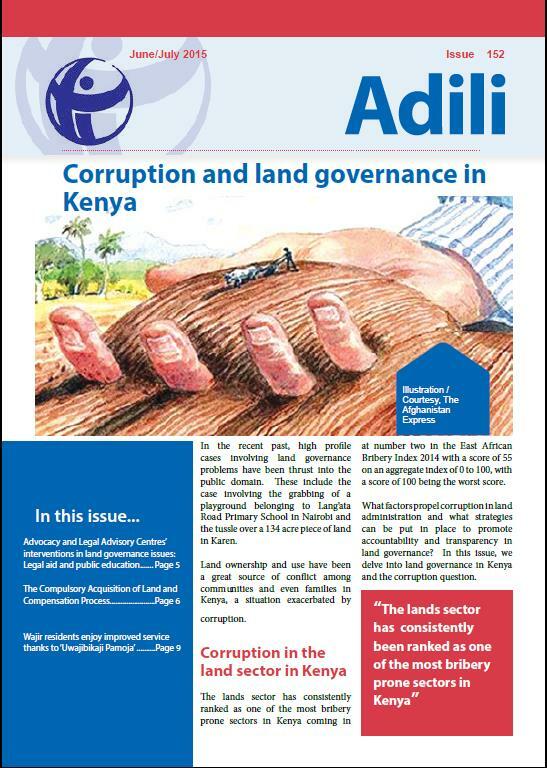 In this issue, we delve into land governance in Kenya and the corruption question. 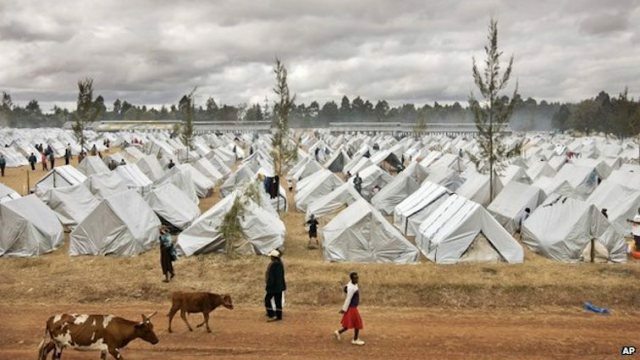 Current post-election displacement in Kenya is not a new phenomenon but a recurring trend linked to unresolved land grievances, in a context of poor governance and socio-economic insecurity. This is of concern to humanitarians as the failure to understand the dynamics involved and the implications for recovery can exacerbate tensions and jeopardise attempts to resolve the crisis. Humanitarians need to engage with land specialists to ensure that their programming not only avoids exacerbating tensions, but is also consistent with efforts to address the structural causes of conflict. 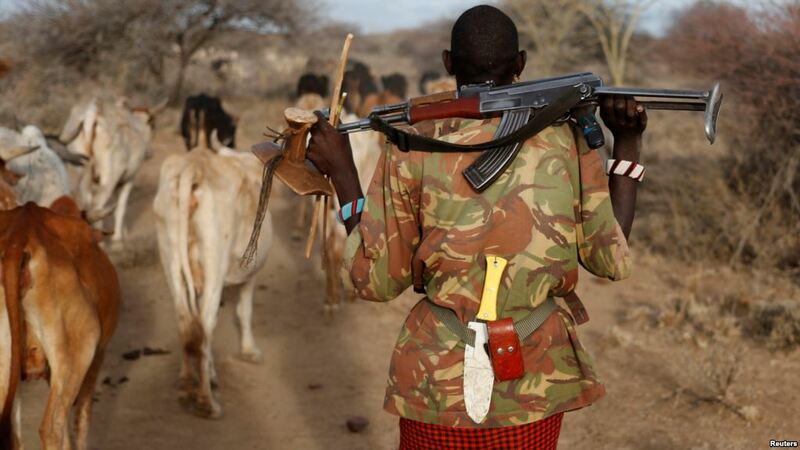 Kenya is witnessing an upsurge of ethnic conflicts involving pastoralist communities. 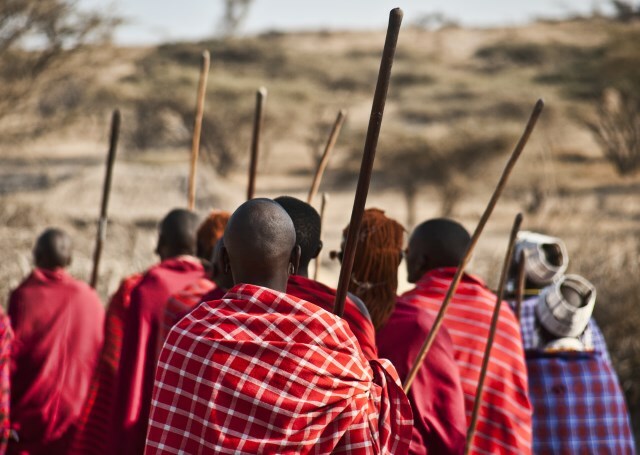 Pastoralist communities are most vulnerable to violent conflict resulting in loss of life and property, ethnic polarization, economic instability, displacement and increased poverty levels.This study which focused on ethnic conflicts between the Turkana and Pokot pastoral communities of Turkana south and Pokot Central districts examined the cultural beliefs as source of ethnic conflicts. Most significantly the study explored the various cultural beliefs and how they bring about ethnic conflicts; examined different forms of ethnic conflicts and its impact on the social and economic development indicators of the two pastoralist communities. 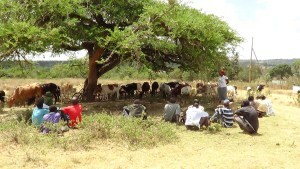 The study also sought to identify probable conflict transformation mechanisms to enhance peaceful co-existence among these pastoralist communities. Cases of deforestation in the Tana Delta have drawn significant concern due to the value of this forest resource, both ecologically and economically. The Tana Delta is one of Kenya’s 60 IBAs and an important fisheries resource, providing a source of livelihood to a large proportion of neighboring communities. However, conflicting land uses has led detrimental land use types that threaten the resource. We used Landsat TM images to carry out visual analysis of land use systems between 1980 to 2012. A significant shift from traditional land use types (forests and grasslands) was observed, with most land changing to agriculture in the observed period. This has implications on the biodiversity of the resource, particularly migrant waterfowl. In order to mitigate the depletion of this and other vulnerable resources in Kenya, there is need for the country to implement relevant policies, resolve social strife and enforce legal instruments at the Tana Delta. 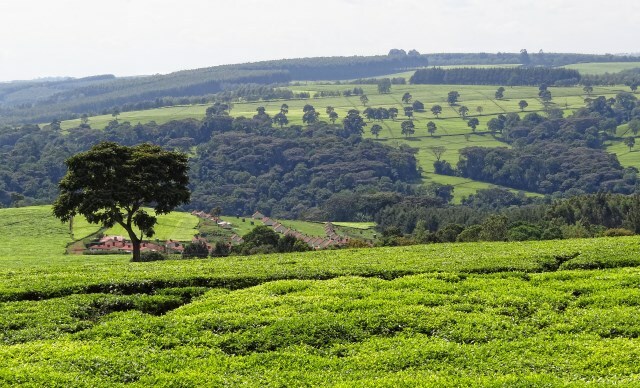 Land is an emotive and volatile issue in Kenya because it bears significant political,economic, cultural and emotional value to the lives of the people. Approximately 80% ofthe population live in the rural area and depend on land for their livelihood.1 Their social,cultural and economic activities are connected to land. Even those living in the urbanareas, still maintain emotional ties with the rural area. During public holidays, they trekto the rural areas for a break, away from the hectic urban life. In fact, since the S. M.Otieno burial case in the 80s, it is common to refer to the urban home just as a ‘house’ and the rural house as the ‘home’. In addition, most Kenyans anticipate to be buried intheir own land. Ownership of land is therefore emotionally important. Those buried inpublic cemeteries are usually considered poor and landless. In addition, for manycommunities, specific pieces of land also have sacred or cultural significance.